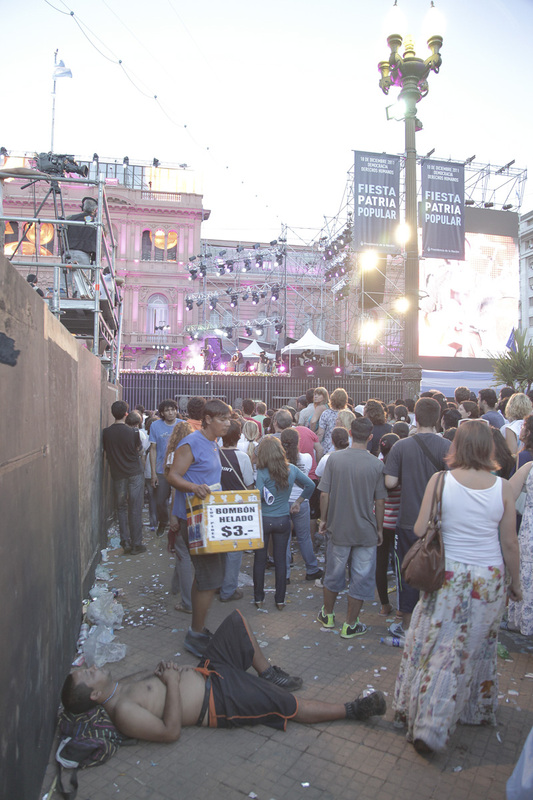 This type of event would have been unheard of 30 years ago in front of La Casa Rosada or anywhere else…. The day before I left Argentina 33 years ago was when the national team beat Peru 7 – 0 to qualify for the final of the World Cup. I was in the street with hundreds of thousands of people in downtown Buenos Aires celebrating in front of armed military patrols who quietly stood by. 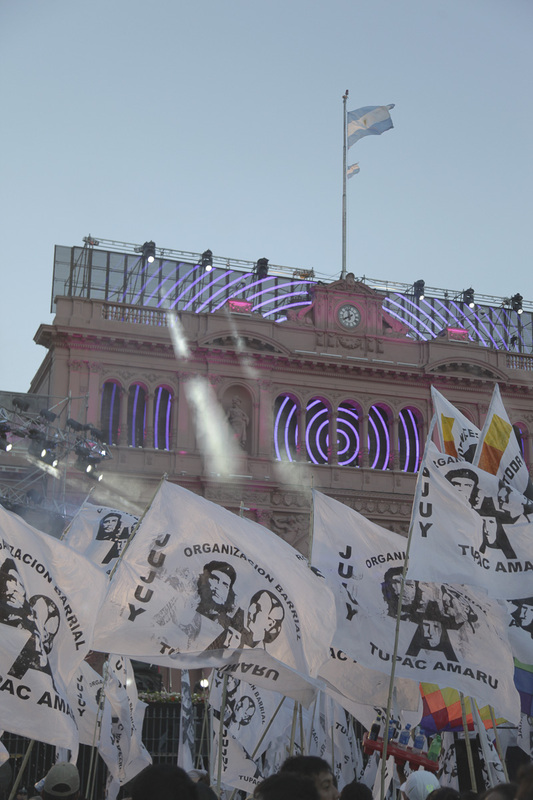 Now, the day before my trip ends, it is such a pleasing coincidence to be here at Plaza de Mayo observing the celebrations of a persistent and stable democracy. This entry was posted in Fine Art Photography, Uncategorized and tagged Argentina, digital photography, fine art photography, Kirchner, photography, Plaza de Mayo. Bookmark the permalink. Not long before my parents and I left Argentina for the United States, the military murderous regime had taken me for torture and questioning. They released me. They then gotmy brother, who was much older than me. 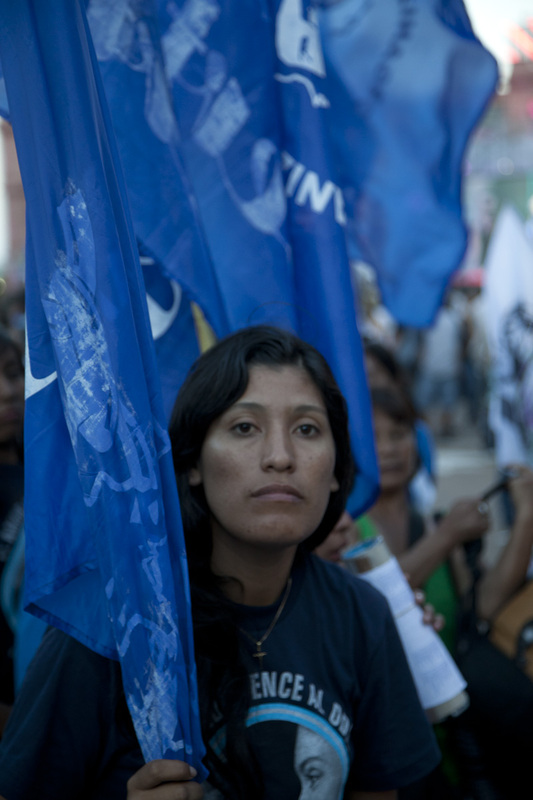 Kirchner has been the first and only to bring not only a young and stable democracy, but it has infused young people with hope. Most importantly, he was responsible for bringing justice to the Mothers of Plaza de Mayo, ending amnesty and starting trials and thus incarceration for those military “leaders” that ruined so many lives, and killed thousands of innocent civilians whose only crime might have been to voice discontent and publicly speak of wanting change, or who belonged to the Liberation Theology, etc. When you have been away for so long and your memory / expectations are in a kind of experiential time warp, then these now common moments are striking. Over 30,0000 people disappeared as you know….what a loss for the country! Yes. You put it beautifully Doug. That is where my memories have been until only about three years ago. 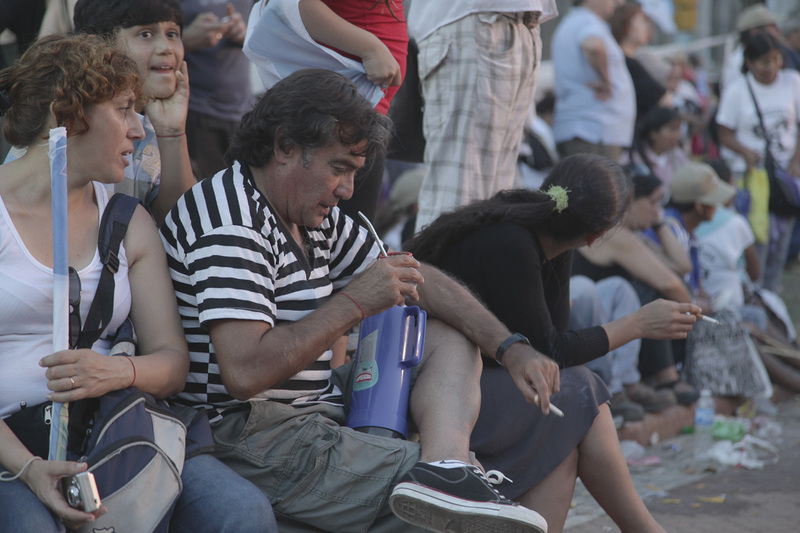 I reconnected with Argentina in a strange and striking visual manner: by following their futbol and shows all about futbol from a cable channel. As if resurrected and suddenly energized by a dormant current, a quick flurry of neurons and neutrons played in my mind produced hundreds of bits of pieces of Argentina–long suppressed for several reasons. I was now in nine, great birthday party. I was now 13 at the Y. I was now 16 and given the nod, then via a traditional handshake, to play for Boca Juniors, etc. It is great to see how things have changed towards the right path. 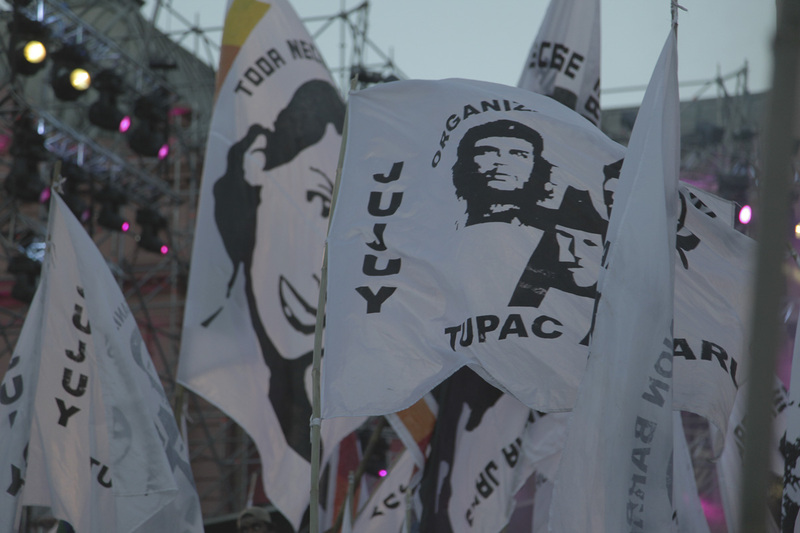 extraño ver Tupac Amaru con dibujos de Ché y Evita juntos. no reconozco el otro, pero parece que los viejos peronistas se juntaron con los comunistas y los rebeldes. I know! 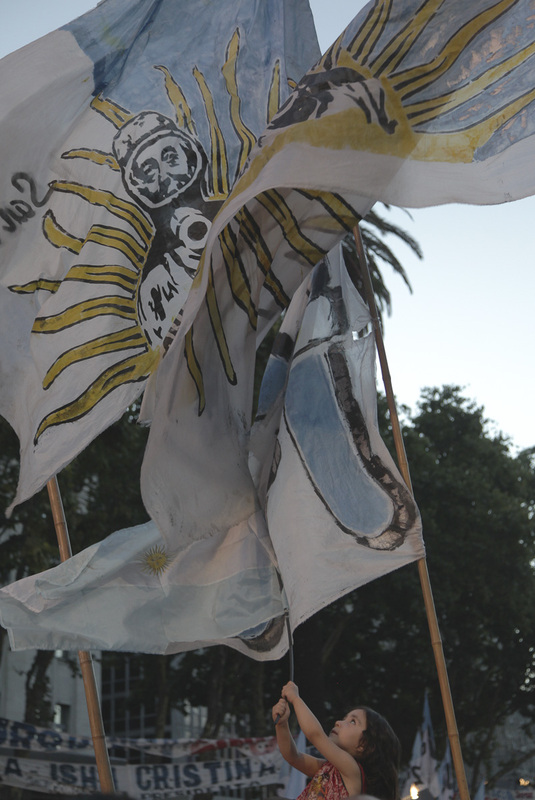 I found that very interesting also…a mishmash of Argentine political symbols. It would be a good thing to see if the body politic, the general public, el populacho o popolo grosso como le deciamos, se alimentara y creciece politicamente y no se deje llevar por otro falso reformista como fue Peron. 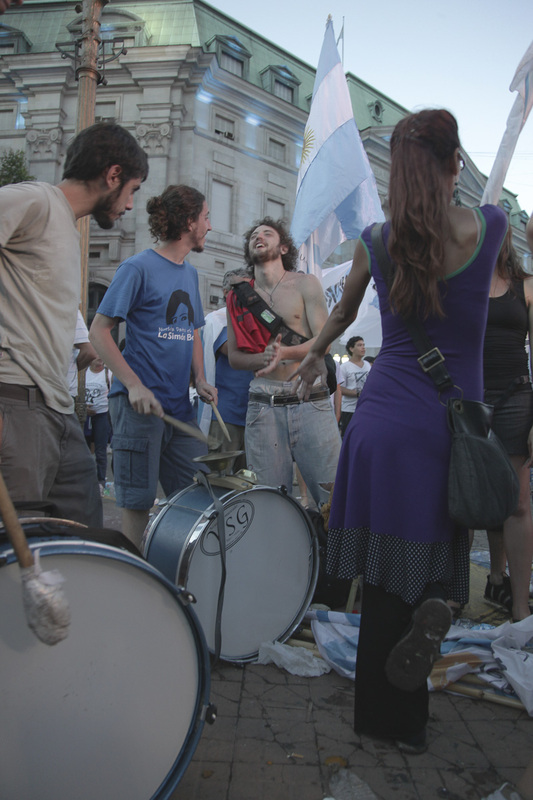 Peronistas seemed as if they never had a chance to mature politically by reaching for a more critical intellectual platform–it was all about seguir el bombo, no? La que fue radical en el buen sentido de la palabra, fue Evita. It is appropriate time to make a few plans for the longer term and it is time to be happy. I have learn this submit and if I could I desire to counsel you few interesting things or suggestions. Perhaps you can write subsequent articles regarding this article. I wish to learn even more issues approximately it! This is certainly and interesting time for Argentina and there is a lot to consider as they move into a stronger economy and more stable political structure. Thanks for you comment!